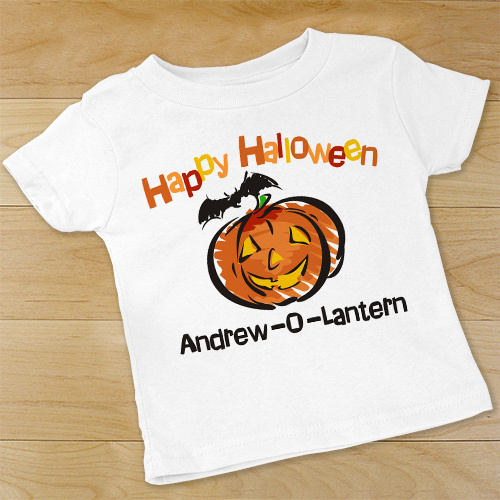 What better way to prepare your little pumpkin for Halloween then with a Personalized Jack O Lantern Halloween bodysuit. This very comfortable personalized bodysuit is a festive way to dress up you infant for Halloween festivities. Our Jack-O-Lantern Infant Halloween baby bodysuit is available on our premium 5oz, 100% white cotton Personalized Infant onesie with crew neck, double-needle hemmed sleeves and binding at the legs with three snap bottom. Machine washable in infant sizes NB-18 mos. Includes FREE Personalization! 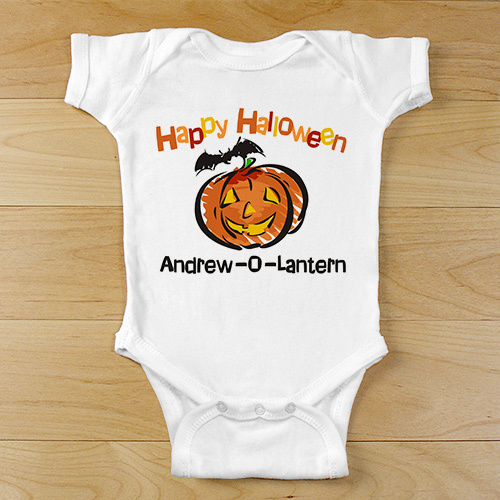 Personalize your Jack-O-Lantern Infant Halloween bodysuit with any name. Additional Details GiftsForYouNow.com offers a variety of Personalized Halloween Gifts perfect for your little one. More than a gift, a Personalized Halloween Gift makes Halloween that much more fun.